This pleasant, red-brick, condominium apartment building was erected in 1974. 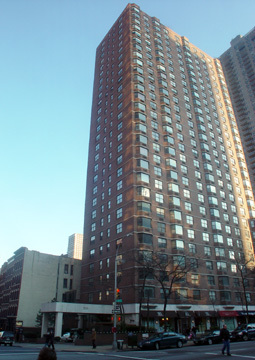 The 28-story building has 214 units. The building, which has many bay windows, is across the side-street from Ruppert Tower, which is part of the massive red-brick complex developed on the former two-square-block site between Third and Second Avenues of the Ruppert Brewery. The building is set back in plazas on both the avenue and the side-street and has extensive sidewalk landscaping. It has a one-story marble base and a large travertine marble entrance marquee and driveway on the side-street. Its avenue retail facilities include Mr. Wright, one of the city's best liquor stores. There are many restaurants and stores in the vicinity and a nice park is down the street at Second Avenue. 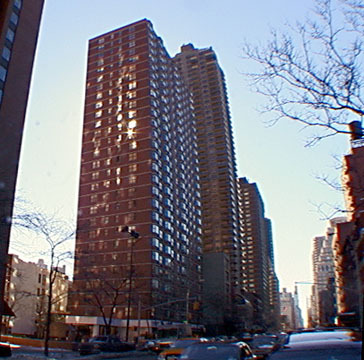 The building allows pets and has a garage, a concierge, discrete air-conditioners, a revolving front-door, and many good views to the east and west. 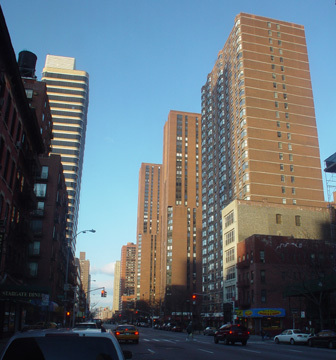 There is good bus service with cross-town service on 86th Street, which is a major neighborhood shopping center. A typical "luxury" apartment high-rise of its era, it is not great architecture, but the bay windows, plazas and nice entrance make it better than average.